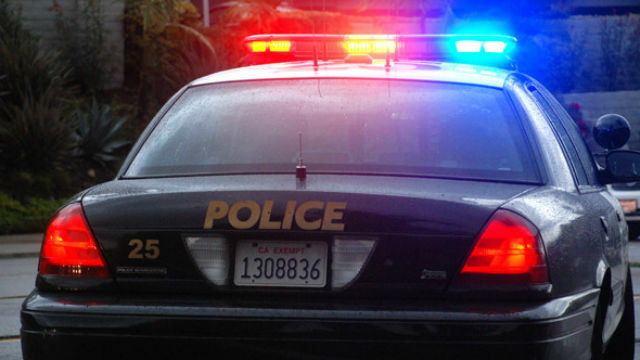 Police Wednesday were searching for a pair of thieves suspected of robbing two T-mobile stores in the El Cerrito and Hillcrest areas within around half an hour of each other. The first robbery happened around 6:45 p.m. Tuesday at the T-mobile store on University Avenue near 58th Street, San Diego Police Officer John Buttle said. One of the suspects threatened employees with pepper spray, then the two men stole several cellphones and iPads before fleeing eastbound on foot through the parking lot, Buttle said. The second robbery happened around 7:15 p.m. Tuesday at the T-mobile store on Washington Street near First Avenue, Buttle said. One of the thieves threatened employees with pepper spray while the other cut the security wires from displayed cell phones and the pair fled on foot in an unknown direction, he said. The suspects in both robberies were described as black men in their 20s ranging in height from 5 feet 9 inches to 5 feet 11 inches with thin builds. One of the suspects was last seen wearing a blue hoodie and black sweatpants while the other was last seen wearing a gray hoodie and gray sweatpants. Robbery detectives responded to both scenes and are handling the investigation.